Former Cage Warriors champion Chris Fishgold says he's desperate to make his UFC debut after signing with the organization earlier this year. Former Cage Warriors lightweight champion Chris Fishgold will see his vacant belt find a new owner at the Cage Warriors 96 on Saturday night as he waits patiently on the sidelines waiting to make his UFC debut. On the Monday morning after UFC Liverpool earlier this year, Fishgold was given the surprise of a lifetime when he met his manager Graham Boylan at a hotel in Liverpool. Speaking exclusively to Jim Edwards last week, the Liverpudlian described the scenes and the emotions he went through upon learning he’d finally got the call to the world stage. “Everybody kept saying that after the next fight it would come, after the next fight it would come ever since I was like 8-0,” Fishgold said. “It got to the point though that I was 17-1 and all that time I’d been promised so many times without hearing anything. It got to the point that I wasn’t expecting it to be honest with you. 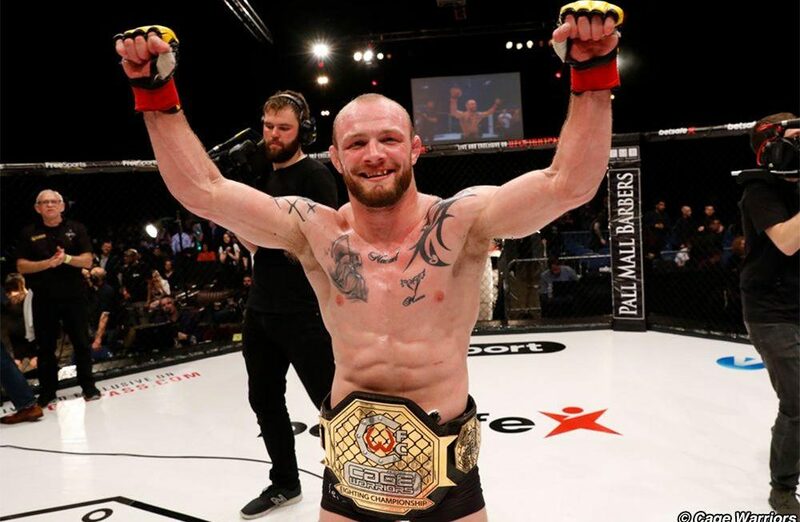 Prior to signing for the UFC, Fishgold had stated his intentions to make the move down to featherweight and capture the Cage Warriors 145-pounds title. Despite now signing for the UFC and fighting at lightweight since 2015, Fishgold says he will still be moving down a weight class when he makes his UFC debut. Despite signing for the organization back in May, Fishgold is yet to have his debut fight booked. 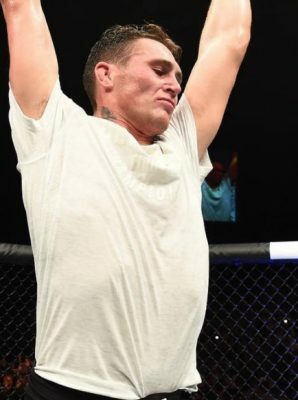 Having now not fought since Oct. 2017, the Liverpudlian is desperate to make his Octagon debut. Fishgold is usually a quiet and reserved character but there are two fighters on the UFC roster he appears desperate to fight. Both Artem Lobov and Nad Narimani are currently booked for fights in the next few months, but Fishgold has his way he will get to put them both to the sword at a later date. “I’m not going to call anyone out because I’ve only just got here, but if I’m honest, I’d absolutely love to fight Artem Lobov,” Fishgold said. “That’s not because I want an easy fight, but because I don’t like him. He would be the easiest fight I could have at this weight. He’s s***. Whilst Narimani and Lobov are both desired future opponents, just making his UFC debut as soon as possible remains the focus. The former Cage Warriors champions believes he’s destined for the top of the featherweight division and he’s now just focused on getting to prove it to the world as soon as possible. “Apart from them I just don’t care,” Fishgold said. “Just give me anyone and I’ll prove how good I am. I know they aren’t going to give me anyone in the top-10 straightaway, but trust me I’m going to make people realize very quickly I belong there. I’m only 26 and I know I belong there.